Elevated view of a canoe crossing a river in a dense rain forest. 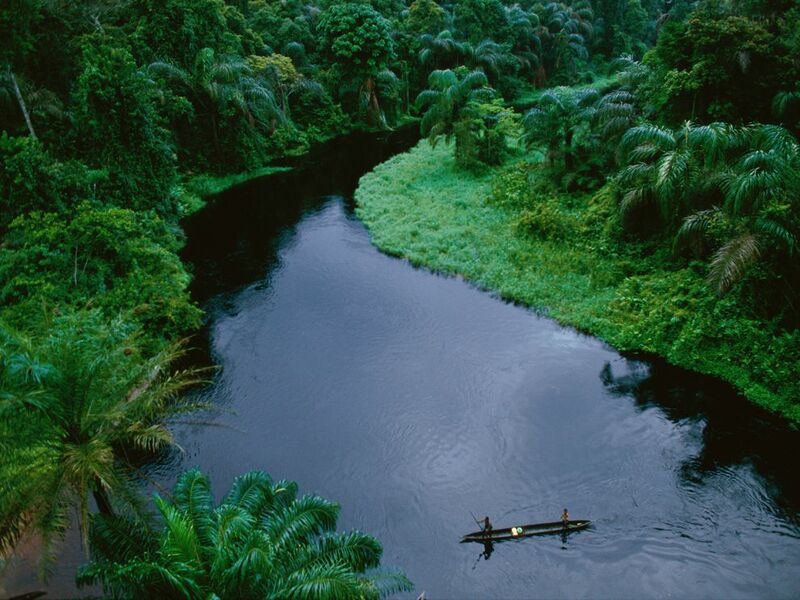 Waterways are highways in the depths of the Congo rain forest. Africa has an array of diverse ecosystems, from sandy deserts to lush rain forests. A rain forest is an area of tall trees and a high amount of rainfall.